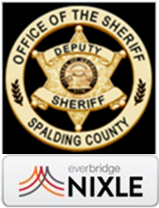 As a result of the April 2011 tornado, Spalding County was awarded a Federal Grant in February of 2013 for the purchase and installation of two Tornado Warning Sirens. These sirens have been placed at the Blalock and Norton Fire Stations. These two locations were chosen due to their proximity to the historical path of these types of storms. The installation of sirens in this path, supplements our CivicPlus Emergency Alert System which was implemented on March 30, 2012 and helped Spalding County become "Storm Ready" certified by the National Weather Service. These sirens are currently operational and are integrated into the counties 800 MHz radio system. They are designed to be automatically activated by a National Weather Service Tornado Warning affecting Spalding County. The sirens have an audible range of approximately one mile in all directions. The siren will be automatically tested by the National Weather service at noon on the first Wednesday of each month. 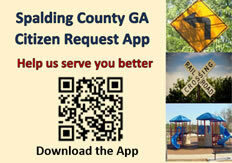 The Spalding County Office of Homeland Security will provide ongoing education for the community and public safety personnel on expectations of the system and procedures for citizens receiving these alerts. For additional questions, please contact the Spalding County Communications System Manager at (770) 467-4253 and/or the Spalding County Office of Homeland Security at (770) 228-2129 during normal business hours. The Spalding County Office of Homeland Security in conjunction with the Spalding County Fire Department has developed a Community Emergency Response Team (CERT) emergency preparedness training, to promote efforts between emergency services and the people they serve. The CERT Program educates people about disaster preparedness for hazards that may impact their area and trains them in basic disaster response skills such as fire safety, light search and rescue, team organization and disaster medical operations. Be better prepared for emergency events. 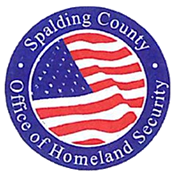 CERT training classes are scheduled throughout the year, anyone interested in participating in these classes should contact the Spalding County Office of Homeland Security at (770) 228-2129 or complete the form below and email it to ema@spaldingcounty.com.